A new HHS ruling aims to push healthcare towards greater data interoperability. However, data liquidity will face a host of challenges. When I clicked, it asked for the name of the individual I wanted to share the record with, and after I keyed it in, a temporary code (valid for five minutes) was provided. I had to share that code with the recipient who then had to go on another site to key in that code to get an electronic copy of my medical record. After five minutes, the access was shut off. At the recently concluded HIMSS19, the oxygen was sucked out of the giant Orlando Convention Center by one topic: data. More specifically, who owns it, who gets to access it, and how they get to use it. The agenda for the conference was fixed the moment a proposed 800-page ruling by the Department of Health and Human Resources (HHS) was made public before the conference began. The rule aims to advance interoperability, specifically targeting healthcare programs administered by the Centers for Medicare and Medicaid Services (CMS) such as the Medicare Fee-For-Service program (FFS), Medicare Advantage program, Medicaid Managed Care Organizations (MCO), and several others that account for a significant percentage of the overall healthcare spending in the U.S. 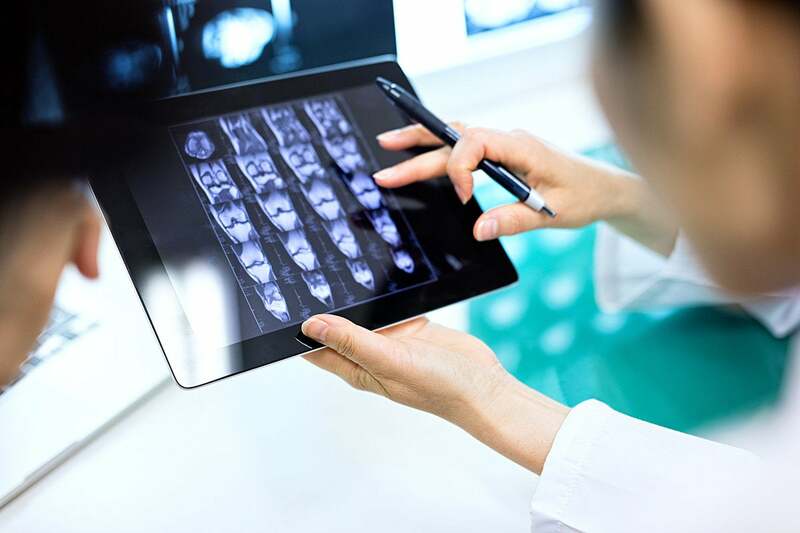 The rule focuses on providing patients unfettered and no-cost access to their medical records to enable them to make informed healthcare decisions. One of the major issues in data interoperability has been the lack of clarity around who owns patient data. At the HIMSS event, CMS administrator Seema Verma made it clear that it was the patients who owned their data, calling it an “epic misunderstanding” among healthcare providers and technology companies, specifically electronic health record (EHR) vendors who had hitherto thought otherwise. In "Healthcare IT's 'Lord of the Rings' problem," I discussed the current state of interoperability and the predominant focus on the exchange of clinical data among healthcare providers as well as their technology vendors. The HHS ruling expands the debate to cover health insurance companies, acknowledging that claims and encounter data sitting in payer systems can provide enrollees with a more complete picture of their medical history. The intent of the ruling is to allow healthcare consumers to have the data follow them around as they moved from provider to provider or payer to payer. In addition, the ruling requires all data to be exposed through standard application programming interfaces (API) for the developer community to build user-friendly applications that can potentially help consumers access their data through devices and applications of their choice. A related issue that the ruling addresses is price transparency for healthcare procedures and outcomes. While the ruling goes into exhaustive detail on a number of topics including data blocking and cybersecurity, let’s take a quick look at how the ruling could impact three broad stakeholder categories in the healthcare ecosystem. Enabling patients with access to their own medical information is a giant step towards improved healthcare outcomes, not least because an informed consumer is in a better position to manage his or her healthcare. However, the lack of a unique patient identifier (UPI) that hinders with patient data matching, and lack of standardization, especially at the semantic layer (“speaking the same language”), are significant challenges to implement the interoperability vision outlined in the HHS ruling. In addition, patient data may not be up to date. When I looked at my own medical records online, I found that my provider had not updated it since 2017. It’s not much use to have access to all the data if the data is not current. Ensuring patients have ready access to their medical records, regardless of where they may have received care, is one of the key goals behind the HHS ruling. Due to the fragmented nature of the healthcare sector and the traditional lack of co-operation between providers and payers, when it comes to sharing data, this is a significant challenge today. Still, some organizations, such as Premera Blue Cross in Washington State, have found creative solutions by partnering with a local Health Information Exchange (HIE). The HIE aggregates patient medical information across the state and makes it available through a single API. Premera aggregates the data into their member database and makes it accessible back to providers so that members are instantly recognized whenever they present their insurance card at any provider location. According to Colt Courtright, Director of Corporate Data and Analytics at Premera, HIE’s are getting more traction today and are a huge accelerator to obtaining EMR data. As new data sources come online and as non-traditional players enter the market, the need for data liquidity for real-time access to a comprehensive view of patients will drive interoperability efforts. Related challenges include data management on cloud and on-premise environments, ensuring veracity of parties involved in data exchange, and semantic interoperability will become front and center in the pursuit of data liquidity. The growing acceptance of FHIR as the standard for exchanging health information electronically now means that the “VHS-Betamax fight” is over and industry participants can focus on adding more content on the data model. As for my personal medical records, my healthcare provider is yet to respond to me on when I can expect my 2018 medical records to be updated in their system.